Selling online offers huge benefits for almost all types of business, from established multinational corporations, right down to tiny start-ups. For small business that rely on small streams of income from many sources however, selling online can be the difference between a great first year that leads on to a viable long-term company, and becoming one of the many small companies that falters at the start line. Prospective customer bases are huge, and savings made from the decrease in overheads that online selling facilitates are far from negligible. The most obvious and perhaps most useful aspect on selling online is the ability to sell to people worldwide, with the only pre-requisite being the ability to access the internet. The web offers 24 hour retailing, easy communication through email, and requires very little initial outlay, compared with say opening a physical store. A well-designed web page can stand up to some of the biggest sellers in the world, levelling the playing field, and bring competition down to product and price alone. The possibility of larger – virtually unlimited – catalogues of products is an attractive benefit for businesspeople in industries where large product numbers at low price is the bedrock of the business model. Because of the purely electronic nature of online shopping, all transactions are done online, which means that the whole cash flow of a business operation can be managed in one area – except of course if you trade offline as well. Savings made through operating online could also be ploughed back into the business, into things like high quality cardboard boxes and jiffy bags for distribution, raising the reputation of the firm online. Opening your firm up to the worldwide market does however bring some downsides. Regional rules on shipping, taxes and simply items that are not allowed are all considerations that need to be taken, and a proper system should be put in place to ensure that the correct postage requirements are known by staff and applied to packages being sent abroad. One last thing to remember when selling online is to put into place a system to work out tax accurately. Of course any businessperson worth their salt will have sorted out any money that is owed out well before the taxman comes knocking, but the ease of transaction online can trick people into forgetting that actual money has changed hands. Now more than ever, making sure that security is completely watertight should be one of the highest priorities when moving online. The news is full of stories about hacking attacks on commercial sites, and although a small business is unlikely to be the victim of a politically-motivated attack, it helps to be prepared. On top of this, there is also the legal requirement to keep customer information safe, and also ensure that you are not mistakenly giving this data to third parties that may get you into not only legal trouble but torpedo your reputation with consumers. You have to sell online today to make any kind of money. If your store is closed for the day at it’s physical location, customers can still shop all night online, it just makes sense to have an online presence now days. Agreed, gone are the days where you just have a website like a ‘brochure’ for your business, you actually need it to provide a valuable service to your customers. 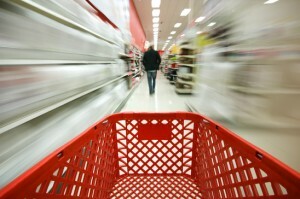 If you are a retail store, then of course that will be the facilitation of buying goods. As you point out, there are numerous advantages to selling online as well as many responsibilities that come with it. I would imagine businesses would need to do some outsourcing and/or align themselves with partners or companies that can help them with the logistics of shipping, taxation, etc. Otherwise it seems like an overwhelming undertaking for a business that is just starting out. You’ve made some very good points about reputation. It’s so crucial to maintain a favorable reputation as the negative feedback will spring up online very quickly. The businesses I have used for online shopping over the years are the ones that have clearly defined shipping policies and that are very fast and reliable with shipping. Discounted and/or free shipping is great, too! Every small retailer has to strive to be as efficient as Amazon. There 1 click shopping is scary how easy it is. Browse the site, add some goodies to my basket. Click the One click magic button – and whoosh it’s all done and on the way!